SOS Forum • Recording classical choir: what technique and what mic stand? Recording classical choir: what technique and what mic stand? I know this probably has been covered a million times, but I've never done this before and it's a one chance only to get it right. Small to middle size church, I think with a fair amount of reverb. I own a laptop, RME babyface and 2 NT55's (card and omni). 1. What would be the best technique? From what I've read, I feel for ORTF, but how would spaced pair work out? I'd like to have some stereo with and depth, so XY seems too limited maybe? 2a. I'd like to buy an extention rail on my mic stand so I can put 2 mics on 1 stand. For spaced pair (is that called AB? ), what miminum distance is necessairy? These rails are limited to 217 and 200 milimeters. Isn't 217 the exact distance for ORTF? 2b, I have found 2 examples (see links below): one has 2 sides that you can change the angle by turning. The other has a system where you can change the distance by gliding over a rail (sorry for the lack of better explanation). Which one would be best to buy, considering I'd like to be able in the future to experiment with all the stereo micing techniques? And of course, is the distance big enough for spaced pair? 3. When using XY and using this extention rail, I can't get the mics on top of each other to get the capsules on the same place. Is this a problem? I see different XY approaches, 1 is on top of each other, the other one is the sides of the top of the capsules touching each other. 4. as for the laptop. It's not build for audio, but I'd reckon if I just put the RME buffersize quite high, there won't be a problem? Latency is not an issue here; it's a one stereo take live take. 5. Are there any things to check when using laptop? e.g. switch of hibernate or so? The concert will be 1 hour of length approx. Re: Recording classical choir: what technique and what mic stand? Guitarking wrote: 1. What would be the best technique? From what I've read, I feel for ORTF, but how would spaced pair work out? I'd like to have some stereo with and depth, so XY seems too limited maybe? It's impossible to say without knowing more about the venue, the repertoire, how the choir will be arranged and so on, but in general, either ORTF or spaced omnis would probably be a better starting point than XY. Are the choir being accompanied, and if so, by what instruments? Guitarking wrote: 2a. 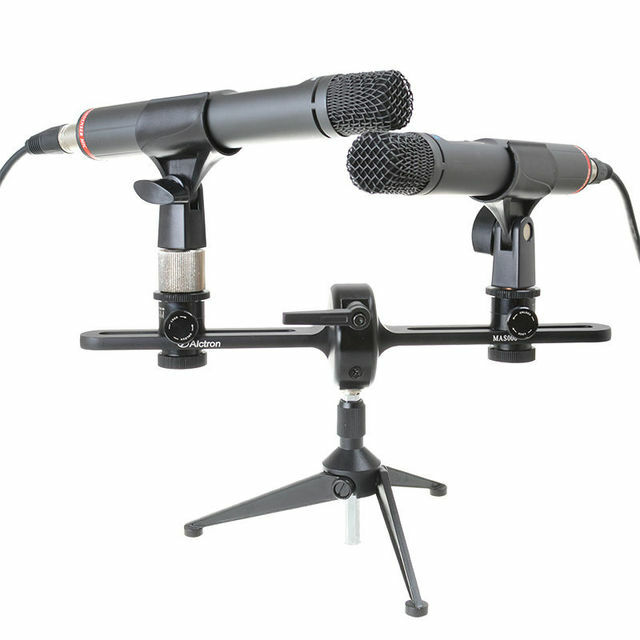 I'd like to buy an extention rail on my mic stand so I can put 2 mics on 1 stand. For spaced pair (is that called AB? ), what miminum distance is necessairy? These rails are limited to 217 and 200 milimeters. Isn't 217 the exact distance for ORTF? K&M make much longer stereo bars than that -- I have one that is 80cm long -- but even on a shorter one you can achieve somewhat wider spacings by angling the mics outwards. In any case the distance between the capsules in ORTF should be 170mm so that will be fine. You might need greater separation for spaced omnis. Guitarking wrote: 2b, I have found 2 examples (see links below): one has 2 sides that you can change the angle by turning. The other has a system where you can change the distance by gliding over a rail (sorry for the lack of better explanation). Which one would be best to buy, considering I'd like to be able in the future to experiment with all the stereo micing techniques? And of course, is the distance big enough for spaced pair? I've only ever used the 'rail' type, but the other should be fine also. As mentioned above, the distance will be fine for ORTF, but there are some circumstances where you might want a wider spacing for AB omnis. Guitarking wrote: 3. When using XY and using this extention rail, I can't get the mics on top of each other to get the capsules on the same place. Is this a problem? I see different XY approaches, 1 is on top of each other, the other one is the sides of the top of the capsules touching each other. I wouldn't worry too much about this, but be careful that the mics don't actually physically touch each other, otherwise small movements will cause them to knock together. Guitarking wrote: 4. as for the laptop. It's not build for audio, but I'd reckon if I just put the RME buffersize quite high, there won't be a problem? Latency is not an issue here; it's a one stereo take live take. Why not make an hour-long test recording in advance, just to check the laptop and software are all stable? The choir will sometimes be accompanied by a solo-cello. Will there be a rehearsal in the venue so that you can try out some different mic placements and techniques? Also, how much freedom do you have about where to place your mics? If this is a public concert with an audience then you may be quite restricted as to where you can position a mic stand. One other thing: you didn't mention how tall your mic stand is, but in general for this sort of large ensemble it's often useful to be able to get the mics fairly high up -- with an AB omni pair for instance you might think about having them a metre or two above the conductor's head as a starting point. There is no 'best technique' -- different techniques have different sound characters so it depends enormously on what you're trying to achieve, as well as the physical layout of the choir, the acoustics of the room, and where you can place the mics. In your position, I would strongly recommend recording a rehearsal or two to get a feel for what can be achieved with the different mic configurations, and the practical implications for their safe rigging. And that safe-rigging is likely to be the biggest problem. Placing mic stands in aisles is generally unacceptable from a safety point of view, let alone running cables where people want or need to walk... so have a discussion with the verger at the church to find out what you can and can't do before committing to a specific rig. 2a. I'd like to buy an extention rail on my mic stand so I can put 2 mics on 1 stand. It's called a 'stereo bar', and there are countless variations available on that theme. I like the K&M ones, but there are plenty to choose from. Isn't 217 the exact distance for ORTF? The mic capsule spacing for ORTF is 170mm, but as the mics have to be angled outwards at 110 degrees their mounting clips on the stereo bar will be a lot closer together. 3. When using XY and using this extention rail, I can't get the mics on top of each other to get the capsules on the same place. Is this a problem? I see different XY approaches, 1 is on top of each other, the other one is the sides of the top of the capsules touching each other. Don't let them touch! Any mechanical vibration through the stand will cause them to rattle audibly in the recording! A lot has already been said, and I agree. As has been said, ORTF is two cardioids at 110˚ and 17cm spacing. To get the height of one over the other that you will need a riser (as Hugh shows on the XY picture above), the easy (and cheap) way is to get a couple of thread adaptors: 5/8" to 3/8" and the reverse - screw one inside the other and you have a riser with 3/8" threads. 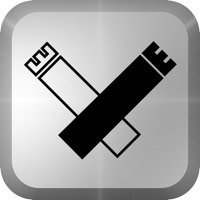 If you have an iPhone, get the app "Mic Tools". This has a "bomb sight" mode so you select "ORTF" and hold the phone over the mics and it has the markings to get the exact recording angle quickly and easily (see pic. below). This may also be available on Android, but I'm not sure. Regarding positioning - have a listen in the hall and place the rig where it all sounds best to your ears. If you can record a rehearsal, please do, this will enable you to patch if they make an error in the actual performance. A pianist who I record often always wants me to do this. It also helps to take some of the worry from the performers and they can concentrate on doing a great live performance. Mostly covered, but here's a couple of links to microphone bars with greater separation: https://www.thomann.de/gb/km_23560_stereo_bar.htm and https://www.thomann.de/gb/km_23600.htm. Whilst Hugh is right about there not being a 'best' approach, I often prefer spaced omnis if the acoustic is good and the music suits a more spaciousness, less defined soundscape. In terms of the NT55, I rate the omni capsule very highly whereas the cardioid capsules can sound a little edgy. Good tip John about that app. John Willett wrote: If you have an iPhone, get the app "Mic Tools". This has a "bomb sight" mode so you select "ORTF" and hold the phone over the mics and it has the markings to get the exact recording angle quickly and easily (see pic. below). This may also be available on Android, but I'm not sure. I can't see an equivalent in the Android Play store. It's a real shame that app doesn't mark the capsule spacing. I use a piece of A4 (over-head projector) acetate on which I've printed the angles and spacings. Works perfectly and lives in one of my mic cases. Another really useful app (which I have reviewed and it will appear in the magazine next month) -- comes from Neumann and is called 'Recording Tools' (available for both ios and android). It's two excellent apps in one, with one section being a calculator for the gain structure from mic to converter, and the other a stereo recording angle calculator/display for common mic arrays. I find the latter very handy for checking the positioning of the mic array with respect to its SRA relative to the performance area to ensure a full stereo width in the recording. Thank you everyone for the quick and extensive replies!! About the stand hight... i only have a normal lic stand. How high is that? 2meters? Getting 2m above the conductors head, is that important when using the spaced ab technique or with all? I thought of putting the stand 2m behind conductor in the middle path (the patch between the seats, its in a church). Or would that give too much ambience? For spaced omnis, since the capsules are omni, can one mimic the right (bigger) distance/separation bij angling them outwards and still use the short stereo bar? Or would that still not be enough space between the two omni's? Also, how about putting something in between the spaced omnis, like a panel/wood and have them 20 cm apart (so use the short stereo bar)? Guitarking wrote: Getting 2m above the conductors head, is that important when using the spaced ab technique or with all? With all. If the choir is on raked stands you'll need the extra height to minimise the difference in distance from the front and back rows, and thus achieve a better balance. Ambience depends on the acoustics of the space, the polar patterns in use, and the distance between mics and choir. Obviously the sound becomes more ambient as the mic array is moved further from the choir, or as you use more omnidirectional polar patterns. However, the other issue to consider is the captured image width with also varies with polar pattern, mic angle, polar pattern, and distance! This is based on the array's stereo recording angle (SRA) which defines the angle in front of the array between sound sources perceived to be fully left and right when relayed on loudspeakers. For an ORTF array, that SRA is 96 degrees (/-48 degrees from the centre). So as you move the mic away from the choir the perceived image width of the choir narrows, and there will be more ambience at the outer edges. You'd need to space omnis about 70cm apart for the same SRA, although there's then a risk of a very unstable centre image (or even a perceived 'hole in the middle'. For very fast and accurate ORTF set-up get the 3D-printed ORTF clip for your mics from Shapeways. The back of the mic. lines up with the edge of the clip and you instantly get the correct 17cm / 110˚ spacing. If your mics are not shown, contact the designer who will normally do one for you - he is happy to do this as it's also then available for other users. Read that the distance of theics to the source shouldnt be to small w hen u wint ortf. Could anyone give me a guideline? Choir will be 25 people and sort of half circle. I also understand nos is for greater distance betweensource and mic? Does it matter in ortf to have the m ics in a sort of xy setup or next to ach otter pointing out ? Guitarking wrote: Read that the distance of the mics to the source shouldnt be too small when using ortf. Could anyone give me a guideline? I also understand nos is for greater distance betweensource and mic? The SRA for the NOS array is narrower, at about 80 degrees, so yes, it would need to be further away for the same choir stereo image width. It's a bit like camera lenses. If you switch to a longer lens with a narrower field of view, you have to move further away to keep everything in the frame (and vice versa). And just like camera lenses, changing the shooting distance changes the perspective... The acoustic perspective, meaning how reverberant (or dry) the recording is. Does it matter in ortf to have the mics in a sort of xy setup or next to each other pointing out ? All that matters is that the diaphragms are spaced 17cm apart, and the mics are each pointing away from the centre line by 55 degrees. How you get them there is down to you, and will depend to some extent on he physical length of the mics and your mounting mechanics. Guitarking wrote: Also, how about putting something in between the spaced omnis, like a panel/wood and have them 20 cm apart (so use the short stereo bar)? You've just described a Jecklin Disk - sometimes used when you want an impression of greater width from closely spaced microphones. Ah thank you Hugh, I think I'm beginning to understand. So 2 cardiods in ORTF make up '1' big cardiod so to speak. Which has a certain amount of ' capturing' degrees? WIth this site you can see the angle you need to e.g. capture the extremes of the choir into the extremes/borders of the capturing angle of say cardiod etc...?? It's usually done the other way around, because the distance of the mic array from the choir is generally more important since that largely determines the captured perspective and thus the overall character of the recording. If the room's critical distance value is known then the optimum distance for the mic array can be calculated... But most people just judge it by ear and experience. Once the mic position is determined you can assess the required SRA for the sound source layout, and from that determine the appropriate stereo array format to provide that SRA. This is an iterative process as the chosen stereo array might affect the perspective, and so the distance, polar patterns, spacings and mutual angles may need to be tweaked until you get the precise sound characteristics you require. Done it! Concert was yesterday. Also, I have the idea I miss a bit of depth. Has this to do with using ORTH, would AB be better next time? Also, I have the idea it's a bit muffled, but then again, my experience lies in pop music, so maybe I'm used to hyped high ends. Don't get me wrong, very satisfied for a first time and grateful for all your help, just trying to improve here! Really nice to record a live choir!! Very interesting! I'll ask the choir if I can use an tiny excerpt to post so you guys can listen. Guitarking wrote: If I look at the SRA site (or the Neumann) app, it appears to me to get the 96 angle the mics needed to be that far away that the mics pointed a bit outwards of the choir (the RSA angle is a bit inside the mics). But with the formula...the mics pointed a bit inwards. But... to me the stereo width doesn't seem to be widest on my speakers. I can't remember what you're using as your mics, but 'muffled' doesn't sound right. Some high shelf EQ will probably help though. Depth means different things to different people... what do you feel is lacking exactly? Could it be a free field / diffuse field effect? I can't remember if the OP was using Omnis or Cardiods.